As a residential cleaning business owner, your job is to keep the flow of prospects streaming into your business. You can do this through casual inquiry and through your marketing efforts. Once you generate a prospect, you need to convert them into paying customers. Once you determine the needs of your prospect and how you can best service them, you send them a quote for your services. Every new business owner eagerly waits for a positive response and the day they can add them to their schedule. What happens if they never call? How long do you wait? That’s the common mistake new business owners make – waiting for the callback. 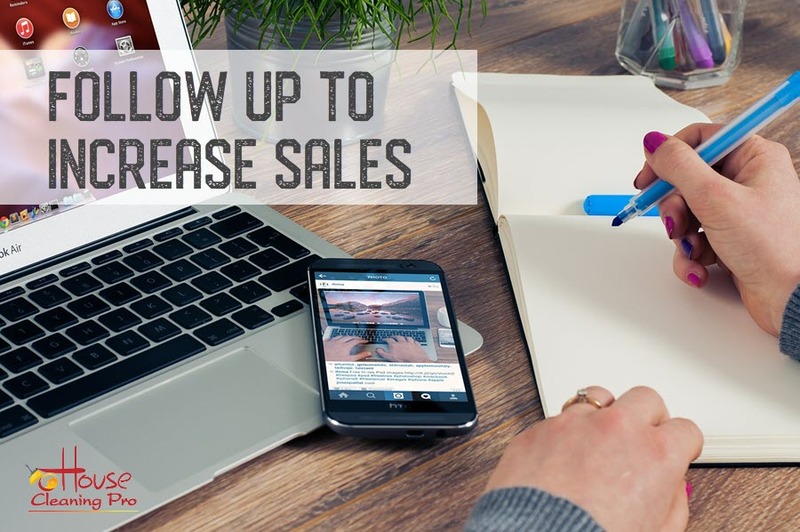 Yes – you need to be proactive and follow up on your quotes – in sales it’s referred to as closing the sale. This is when you ask for the sale! If you’re providing an in-home estimate, you ask for the sale before you leave their home. After walking the house and documenting all the rooms (for special information), I would ask the prospect if we could sit so I could discuss their needs and the service we provide. This gave me a chance to work up a quote and then justify it with the information I obtained during the walk through. Once this was done I pulled out my calendar for the next available date and asked them if this was a good day to schedule their cleaning. This process is essentially the same when you’re providing a phone quote. But what happens when they don’t book the appointment or when you have sent out the quote? You need to follow up to ask for the sale. People get busy and either forget to call back or they have had other quotes. Some will have booked with your competition and others just haven’t gotten around to doing anything about the house cleaning. This is a good time to contact them and inquire if they have had their house cleaned. If not, review your estimate, pull out your calendar, and ask for the appointment. You’d be surprised how many of these follow ups turn into new clients – all because you took the initiative to do a simple follow up. Most of your new clients are generated after your prospect has had a chance to feel they can trust you and your business. Building trust starts with your first conversation, so now is a good time to sell your exceptional customer service skills with a follow up. By contacting your prospects to ask for the sale, you are in fact doing them a favor. 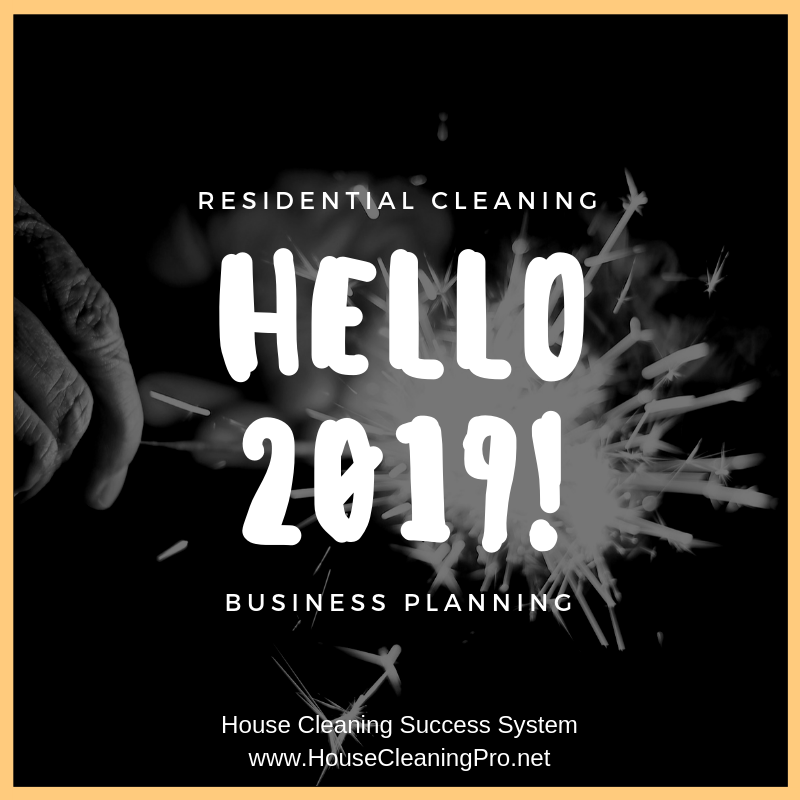 You’re restating your commitment as a service business, reminding them that you are still available and ready to serve, and you’re helping them make the decision to get their cleaning service started. Your prospect may be waiting on competing cleaning services to respond to their needs. You have a good chance to get the work just because you called them back before your competition. In addition, you have a chance to make the prospect feel important because you’re the one who remembered and reached out to them. 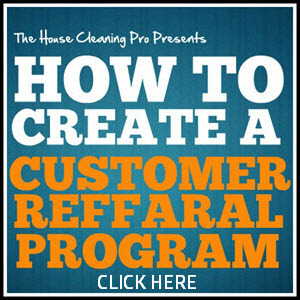 You already spent time and money generating the leads that have not yet booked an appointment. By not performing a proper follow up, you are losing money on your lead generation. Even if you have ongoing marketing in place to generate leads, you should be working to increase your return-on-investment on the leads you have already generated. When a prospect fails to book an appointment, they may be busy or they may need more time to build the trust. You can help them by including them in your monthly newsletter and sending them special offers. If you did not offer them a discount on their first contact, you can offer a series of discounts over a period of time to get them on your schedule. They may not respond initially, but every contact you make increases the chances of them eventually booking an appointment. This type of offer is referred to as a lead loss – you’re losing money on the front-end in order to make money on the back end. Nothing beats ongoing, regular service. Think of your prospects in terms of what they generate on monthly service for your business. Identify the average life cycle of your clients and use that as your measure. If most of your clients stay at least 12 months, then what will this prospect generate in 12 months for your business? Every contact you make with a lead should be documented, saved, and dated for follow up. It doesn’t matter what process you use as long as you follow up with all leads with the same timetable and process. For instance, our Service Agreement doubles as an estimating form. Everything is documented on the form and handed to or sent to the prospect. Once this is done, add a follow up for 3-4 days. You can send an eMail or simply make a phone call. Be sure to document the action on the form. On the follow up you can remind them of your open date(s) and encourage them to take action before the appointment is taken. How often will you perform a follow up is up to you. Decide what you feel comfortable with – it may be 2-3 times or it might be 1-2 times and then you file the lead in the monthly or quarterly follow up pile. Don’t ever consider the lead dead. It’s your job to convert them into a paying customer so even putting them in the follow up for 6 months from now is appropriate. You don’t know why a lead contacted you for service and then didn’t book an appointment. They may have selected someone else to perform the service or they may have decided they didn’t want to spend the money after contacting you. Whatever the reason, things change and they may be ready to give you a try on one of your follow ups. Keep your open quotes where you can quickly access them in case a prospect calls you back. Even if they call after 6 months, you can access the original quote for all the particulars and make any adjustments needed. With a follow up process in place, you’ll find yourself providing better customer service, generating more business, and building better relationships within your community. 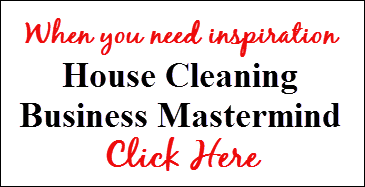 Join us in the House Cleaning Business Mastermind. 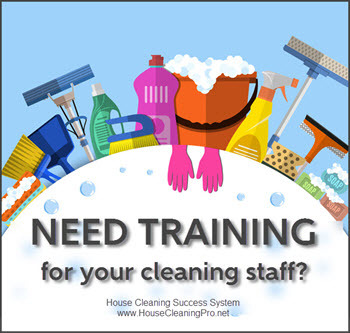 Summer is Coming… Is Your Residential Cleaning Business Prepared?